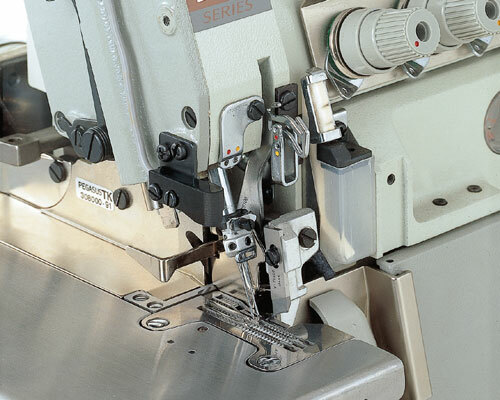 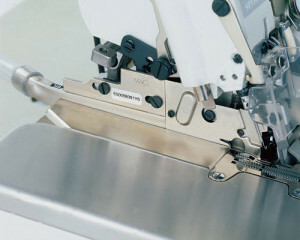 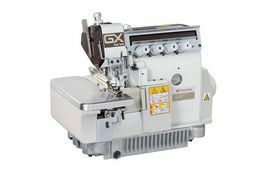 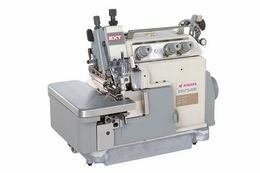 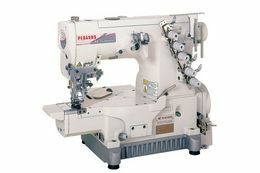 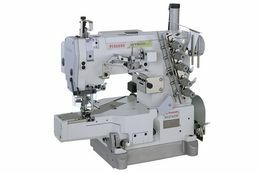 The cutter knife automatically descends to cut a tape and/or thread chain when the sensor detects the edge of the fabric. 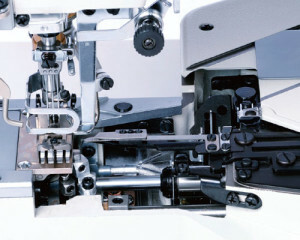 Then the cut tape and/or thread chain is sucked up. 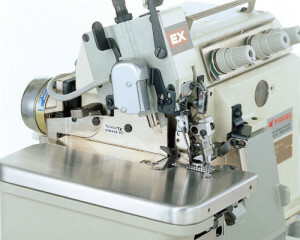 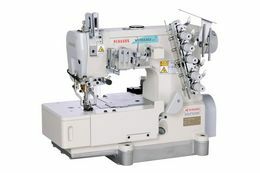 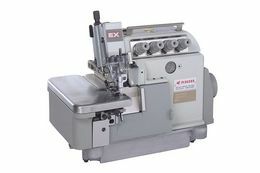 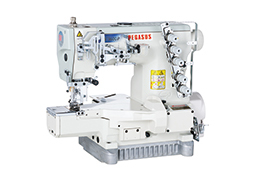 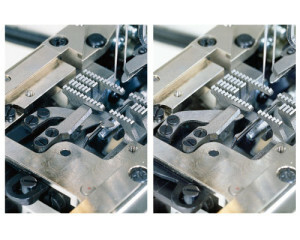 Since the length of tape or thread chain that remains after a cut can be adjusted by stitch counting as desired, no skilled operator is needed.